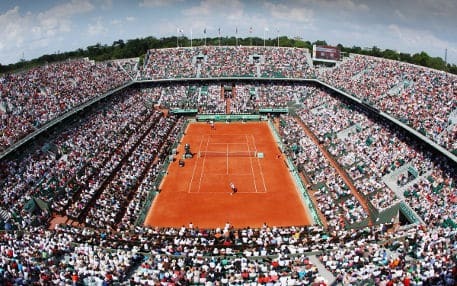 Read our preview of the French Open, containing betting offers for all customers and who the bookmakers think will win. The players return to Roland Garros this week, with Nadal as the strong favourite. This tournament could almost feel like a formality. All of the stats and form point towards Nadal winning this tournament, and any other result will be considered as a massive shock. He is priced at 1.36 which gives him a 75% implied probability of winning the tournament. Whilst that is very high, it is justified and some would argue could be considered pessimistic. Last year he secured his 10th title at the French Open, making him the most successful men’s player at any particular Grand Slam event. One more win and he will equal Margaret Court’s record of 11 wins at a single major. Even though fans might find the French Open to be predictable, there is no doubt they have an opportunity to watch one of the all-time greats. There is no better clay player and his form suggests only strengthens the probability. Since April he has had 17 wins on clay, with just one loss to Dominic in Madrid. Any concerns that the loss in Madrid may be a precursor to a weaker outing in Roland Garros only needs to look to last year. In 2017, Nadal had an identical 17 wins and one loss to Thiem, but he went on to thrash him in the semi-final. The draw could not have gone better for Nadal either. Alexander Zverev, Djokovic, Wawrinka, Kei Nishikori and Dominic Thiem are all in the other half of the draw. The highest seeded players within Nadal’s half include Juan Martin del Potro and Marin Cilic. The latter is priced at 51.00 due to his injury concerns. Neither looks like they pose too much of threat to preventing Nadal reaching the final. It will take a brave man to bet against Nadal, but the high prices on some of the outsiders will provide great returns. There are loads of offers for the French Open. They’re all available and updated daily on our tennis offers page. Money back if your player takes the first set but still lose (10Bet) – This offer is available from 10Bet. Bet at least £5 for a player to win any match, and if they win the first set but go onto lose, they will refund your losing stake as a free bet up to £10. Double winnings if your player loses the first set (Betway) – Back a player to win any match during the French Open, and if they lose the first set, but go onto win the match, then Betway will double your winnings as a free bet. Get paid early as a winner if your player goes two sets up (Paddy Power) – Back a player to win in any men’s singles match, and if they go two sets up at any point, Paddy Power will pay you out early as a winner. Money back if your player goes two sets up but still loses (NetBet) – Not quite as good as the Paddy Power offer above, but an alternative. If your backed player goes 2-0 up in sets but goes on to lose the match, you will receive a refund up to £20 as a free bet. Get 10% cashback on net losses (Ladbrokes) – Get 10% cashback on net losses up to £100 when you bet on tennis with Ladbrokes. Money back if your player loses in the 5th set (21Bet) – Back a player to win any match and if they’re knocked out in the 5th set then 21Bet will refund your losing stake as a free bet, up to £25. Get a bonus on your French Open accumulators (Various) – If you’re placing an accumulator, then make sure you get the biggest bonus possible. Winner and Bet 365 have the best offers, but you can get the full write-up here. Here are the odds for the outright winner of the French Open. Odds are supplied by Bet 365 and are accurate at the time of publishing (subject to change) on the 30th May. It’s no surprise that Nadal is the favourite, but outside of the top five players, the prices are very long. The French Open is one of the few tennis tournaments that is broadcast for free on terrestrial in the UK. The majority of matches will be on ITV 4, and certain matches on ITV 1. Both the men’s and women’s finals will be on TV. It is available to stream via the ITV Hub, and many of the bookmakers. If you’re not a fan of the ITV coverage, then you can also catch the action on Eurosport.